As we are reflecting back on 2017, we are regularly amazed by the kindness and generosity of the New York Junior League volunteers. Annmarie Stewart is a wonderful example. 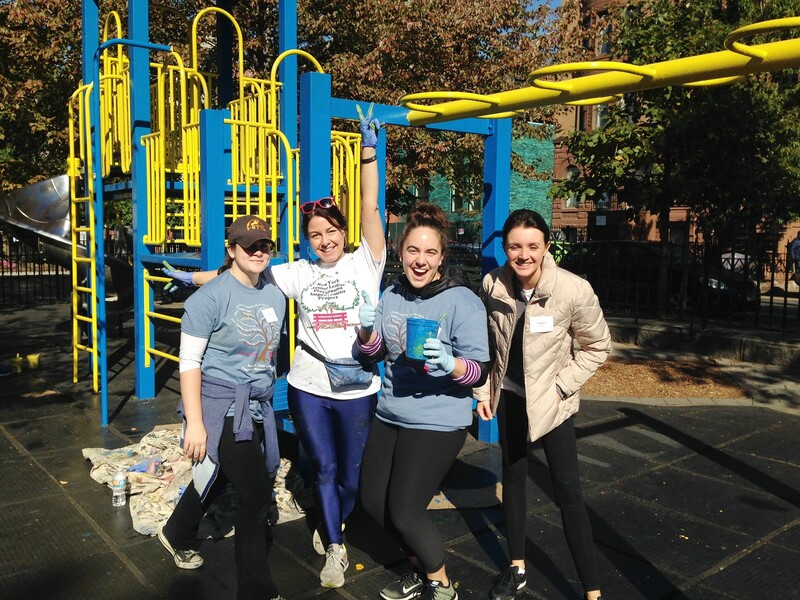 Stewart works full-time as a Director at RBC Capital Markets and found a fun, smart way to engage her coworkers to help fundraise for the NYJL. With each donation, the NYJL continues to directly impact the community. Rather than just wear jeans, Annmarie’s trading floor donates money to a chosen charity to celebrate casual Friday and give back at the same time. During a recent quarter, Annmarie nominated the NYJL to receive the trading floor’s generosity. Through this, she was able to fundraise a significant amount for our organization and help support our mission. We are honored that Annmarie chose to support the NYJL in this way. It is a great example of how we can engage communities outside of NYJL to help benefit our community projects. Thank you to Annmarie for coordinating this generous donation!